This has never happened in Vermont. Show up and be a part of history! 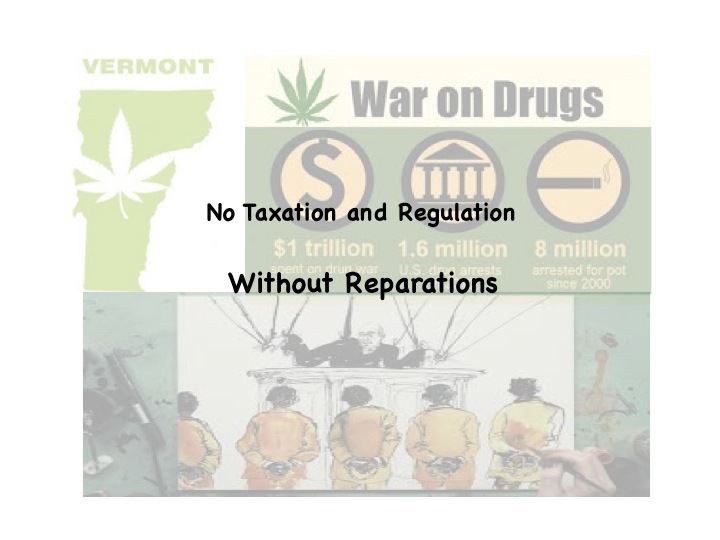 Thursday, April 4th at 5:00 pm, there will be a public hearing on a proposal (PR.2) to amend the Constitution of the State of Vermont to completely prohibit slavery (as introduced), which will “serve as a foundation for addressing systemic racism in our States’s laws and institutions”. Testimony till now has been taken in the committee room during normal business hours. We believe that this has resulted in the current version of the proposal where that purpose is now “to clarify that slavery in any form is prohibited” and offers confusing and unnecessary language that could be interpreted to the contrary. What are we asking of the committee that they are not doing? Leave a message with member of Senate Government Operations. Here are the instructions for preparing testimony. The criminalization, punishment and oppression of black and poor people is at the root of slavery. Show up and be a part of history in our journey to dismantle the foundation of systemic racism in Vermont. It has taken us 242 years to get to here. Please make sure that you are in room 11 in the Statehouse on Thursday, April 4th, 2019 at 5:00 pm. The Senate Government Operations Committee has delayed the vote on the constitutional amendment, prohibiting slavery. Testimony has been reopened for Thursday, February 28th at 3:15. We”re excited that this will give us an opportunity to tell our stories. 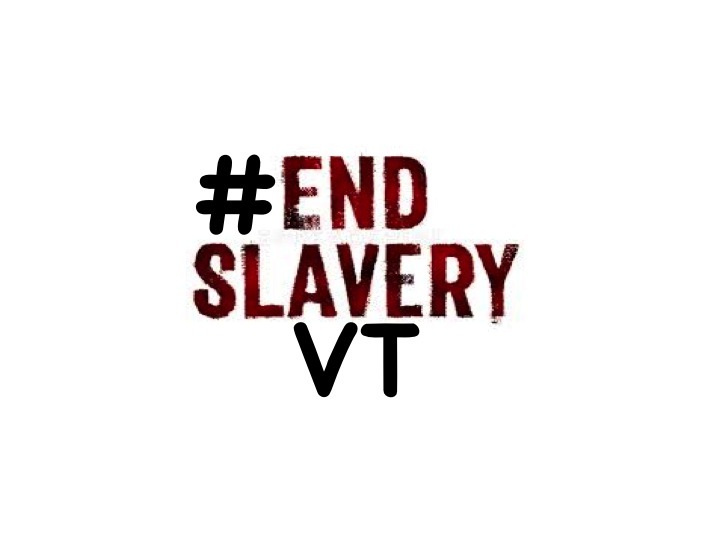 The Senate Government Operations Committee have concerned themselves with the task of preserving the historical significance of the fact that “Vermont was the first state to abolish slavery”. 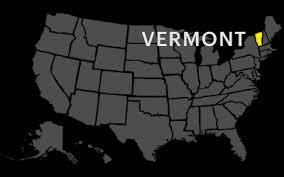 The fact is that Vermont never abolished slavery from the constitution of 1777 or 1786 and after becoming a state the constitution of 1793 never abolished slavery. In fact, after 242 years and 28 adopted amendments the Vermont constitution has yet to abolish slavery. Sadly, the language that the Government Operations Committee was poised to vote on would not have abolished slavery either. To be clear, no state in US history has held constitutional language permitting slavery longer than Vermont. 2) Ask Senate Government Operations to Take up S.120: Give the Racial Equity Director a Chance to Succeed! Remember S.281, the Systemic Racism Mitigation Commission? Well the Racial Equity Director was left reporting the Governor with an option to move the position under the Secretary of Administration. We all know how this story ends. 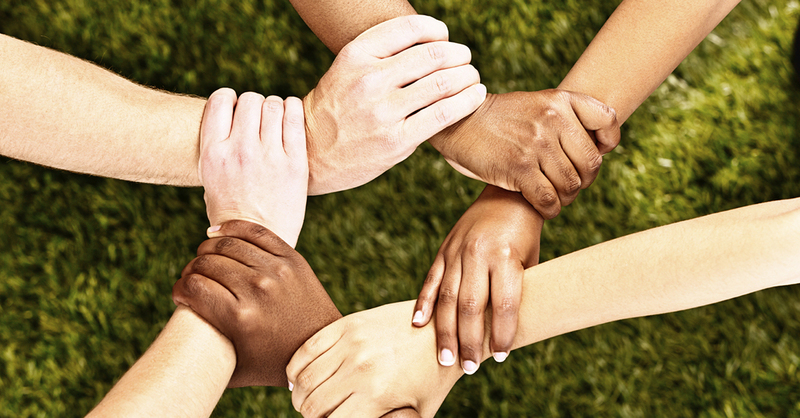 If there is any hope for the Racial Equity Director to be effective, me must ensure that the position is on par with his or her contemporaries. Join us in our calls for Senate Government Operations to TAKE UP S.120. Here is an opportunity for us to celebrate the work we have accomplished and discuss the unprecedented year ahead. There will be an overview and discussion on racial equity; a presentation on current implementation of Act 54 (2017) and Act 9 (2018) and an opportunity to discuss the racial equity bills that are being introduced. The sponsoring legislators will be on hand for the discussion. #EndslaveryVTThe proposal to amend to the constitution; eliminating slavery (Proposal 2) was taken up in Senate Government Operations Committee last month and testimony has been ongoing. 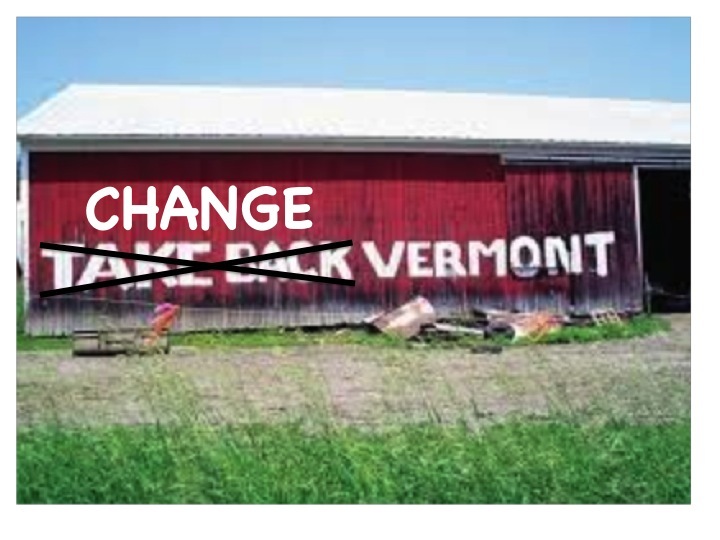 There is mounting discussion about the prospect of leaving the language of constitutionalized slavery in the Vermont constitution for “historical purposes”. Further, the limited number of folks asking to testify has caused the Proposal to get stuck in Committee. This is the first time in 242 years that we have had an opportunity to remove this language. Help us make it happen. Contact the Senate Government Operations Committee and tell them to “remove slavery from the constitution”. Let them know that you are willing to testify! The legislature has the regulation of cannabis on the fast track. 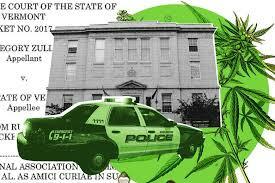 The financial upside seems to have given everyone “war on drugs” amnesia. Regulating Cannabis without taking these factors into consideration is scandalous and immoral. Stand with us as we proclaim No taxation and Regulation Without Reparations! 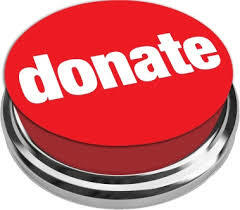 Donate to the support cannabis reparations here. 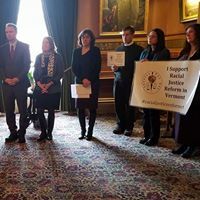 Justice For All pursues racial justice within Vermont’s criminal justice system through advocacy, education, and relationship-building. Would you like to Become a member? 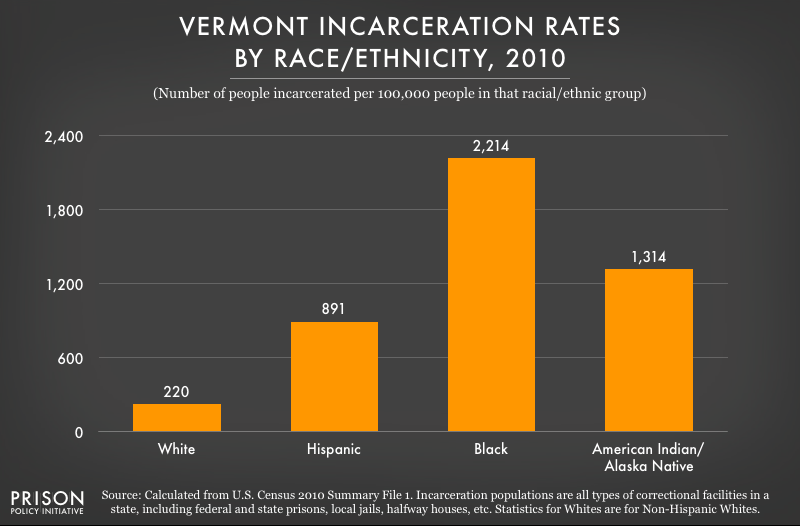 Montpelier, Vermont, January 8, 2018 – The Vermont Racial Justice Alliance (the Alliance) previously the Racial Justice Reform Coalition, that advanced Act 54 (2017), Racial Disparities in the Criminal and Juvenile Justice System Advisory Panel and Act 9 (2018), Racial Equity Panel (and Director), today announced its legislative agenda, “Change Vermont:. The agenda puts forward bills abolishing constitutionalized slavery and establishing a commission to provide recommendations on reconciliation. Alliance members will be at the “Advancing the People’s Platform in Vermont” forum on Wednesday, January 9, 2019 from 10:45 until noon discussing the platform. Justice for All pursues racial justice within Vermont’s criminal justice system through advocacy, education, and relationship building. On December 21st 2018, the Acting US Attorney General withdrew the Dear Colleague Letter on Nondiscriminatory Administration of School Discipline, the Overview of the Supportive School Discipline Initiative and supporting documents. Collectively these documents have served as the backbone of a framework implemented to address the administration of nondiscriminatory discipline in schools and stop the school to prison pipeline. These statements of policy and guidance were implemented by the previous administration because of the absence of any other suitable tool as a result of an obstructionist congress, unwilling to pass the appropriate laws. The decision to withdraw this guidance was hidden in the noise of the Friday afternoon of the most tumultuous week of this presidency. 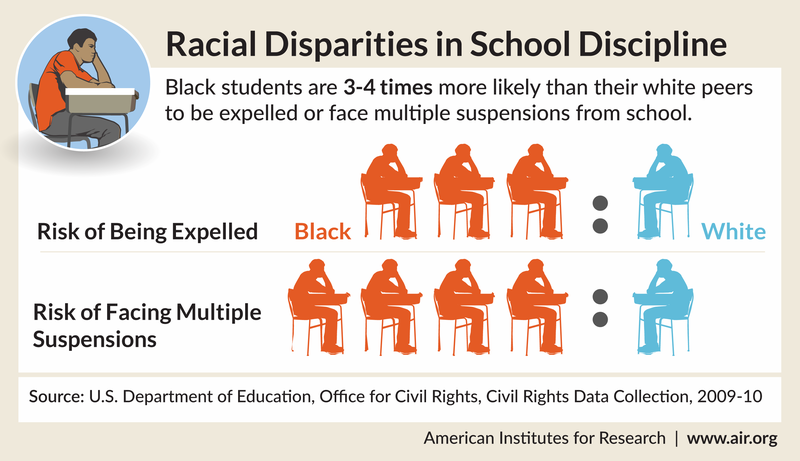 It is being sold to us in the false narrative that the previous guidance impinged upon schools discretion in discipline and that the Civil Rights Act of 1964 is an adequate remedy for discriminatory discipline in schools. Neither is true. Removing this guidance is a heinous atrocity, which will cause traumatic and irreparable damage to our children and our nation. We ask the legislature, the Attorney General and the Human Rights Commission in consultation with the Department of Children and Families and the Secretary of Education to immediately develop and implement policy that will ensure inclusiveness in standards, fairness in discipline and diversity in admissions. Address this with the urgency and commitment you showed in response to the immigration crisis in 2017. Do this because it is the right thing to do. 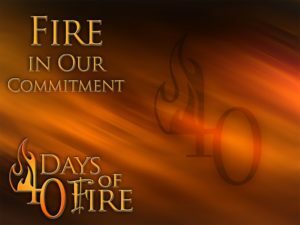 40 Days of Fire Campaign! Happy Holidays to all and season greetings! First things first. Will you please donate to Justice For All HERE? The 40 Days of Fire Campaign was a statewide racial justice community organizing initiative designed for two purposes: to shine a light on the use of racial dog whistles in political discourse and debate, by educating and empowering folks to break their silence and; to enlist folks to learn more about and engage in our ongoing efforts in the fight against overt and systemic racism. This involved updating community members on the progress on the implementation of Act 9 (2018), Racial Equity Panel and Act 54 (2017), Racial Disparities Panel. We also provided updates and called folks to action on ongoing efforts to amend the constitution to remove slavery. Homework was provided to enable folks to escalate concerns to elected and appointed stakeholders. This statewide campaign organized nearly 200 people with visits to Montpelier,Burlington, Middlebury, Hardwick, Hartford, Marshfield, East Montpelier and Brattleboro. We also conducted a webinar in conjunction with the ACLU Smart Justice Campaign. The feedback that we have received from the “homework” assigned indicates that as a direct result of the campaign, the Attorney General and Human Rights Commission Act 54 “Task Force” Report was resubmitted and the Speaker of the House urged the Secretary of Administration to create a community-facing web presence for Act 9 updates. We have also received reports that the full Act 9, Racial Equity Panel was seated and the Governor’s office announced that they are considering amending Executive Order 4-18 (Racial Equity) in the coming months. Finally, the Senate President Pro Tempore committed to taking a “renewed look at what steps need to be taken” regarding improper implementation of Fair and Impartial Policing Policy by state police. He also committed to taking measures to amend the constitution to remove slavery. The campaign culminated in a Community Gathering where folks from across the state gathered to discuss next steps in organizing and begin the process of building a sustained effort to engage in addressing systemic racism and racial justice across the state. As we transition into the next phase we will continue the business of engaging elected and appointed officials on a new legislative agenda (Public Engagement)! We will also bring the community together around issues (Community Organizing). We will be meeting on a Conference Call on Wednesday, January 2, 2019 6:00 PM to discuss how we will make this happen. We will be unveiling the 2019/2020 Legislative Agenda this meeting. You don’t want to miss it. The meeting is open for the community to join! The Racial Justice Alliance is inviting you to a scheduled Zoom meeting. Topic: Action Meeting: 40 Days of Fire Closeout – Legislative Agenda! The year is closing and you can still give us a hand. Choose an amount that works for you and donate here. Justice For All Membership available here.